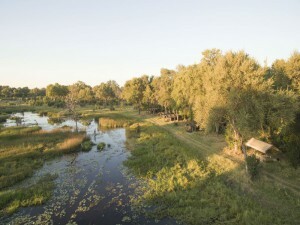 Arrive at Maun Airport and fly by shared air charter to the Xakanaxa region of the Moremi Game Reserve. 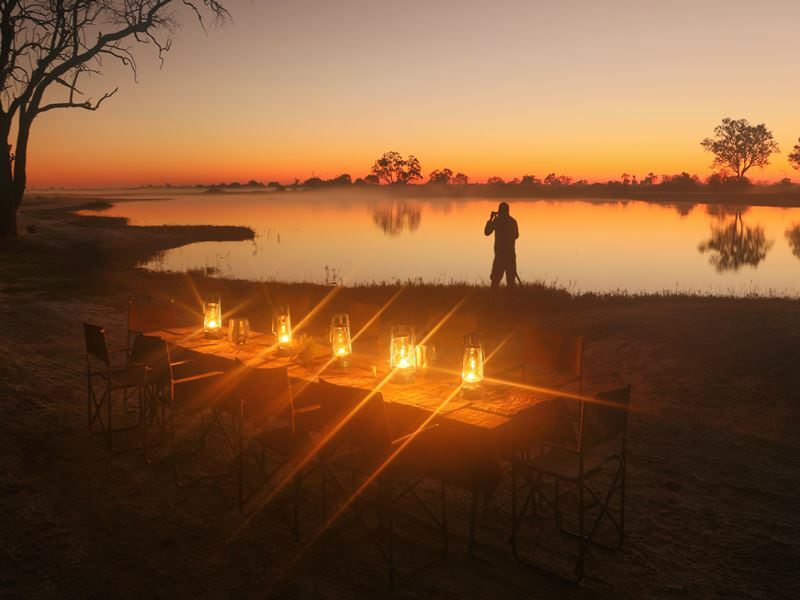 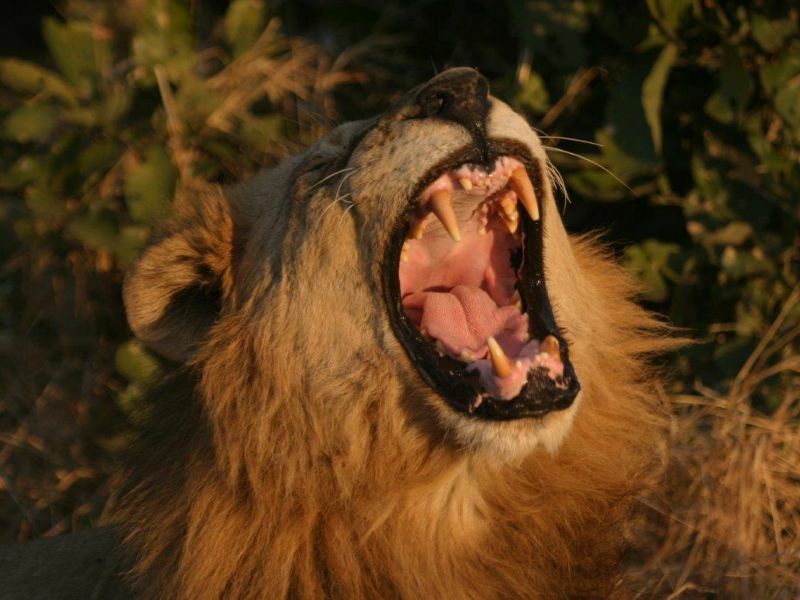 Meet your guide and enjoy 3 nights of a fully serviced, Botswana Tented Safari. 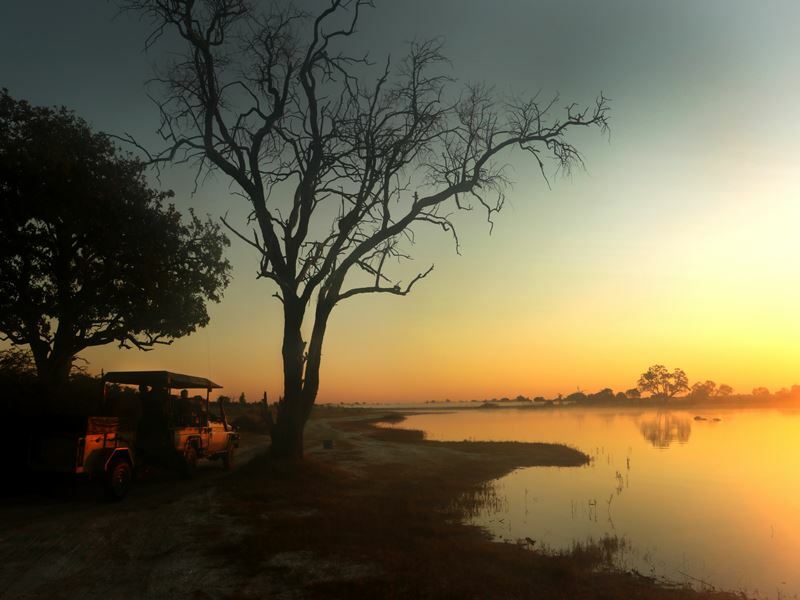 Arriving at Maun Airport, you’ll be met by a Mack Air representative and helped to your shared charter plane. 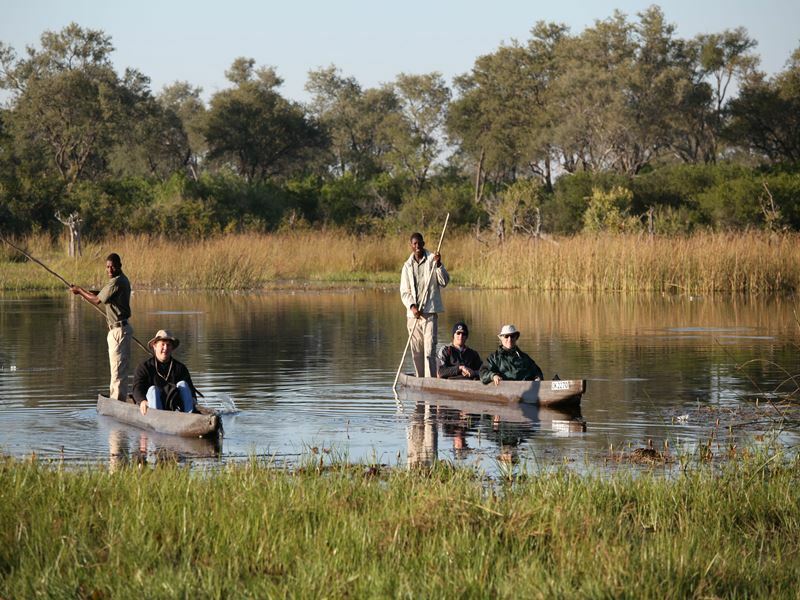 Your destination is the Xakanaxa region of the Moremi Game Reserve where your guide will be waiting to meet you. If you are travelling during the low season (January-March and December) you’ll need to overnight in Maun prior to departure as you’ll be driving into Moremi at 08h00 on the first morning. 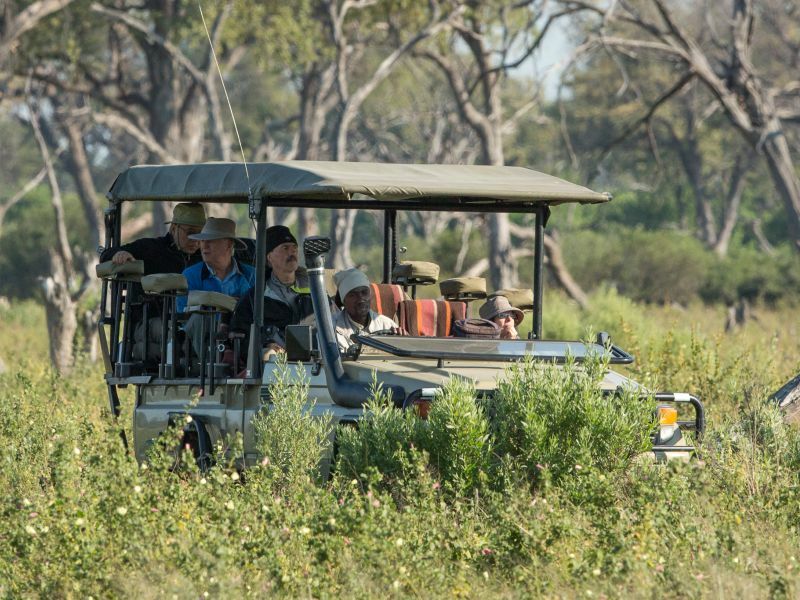 Xakanaxa is one of the best game viewing areas of a reserve world-famous for the abundance, diversity and up-close imagery of its wildlife. 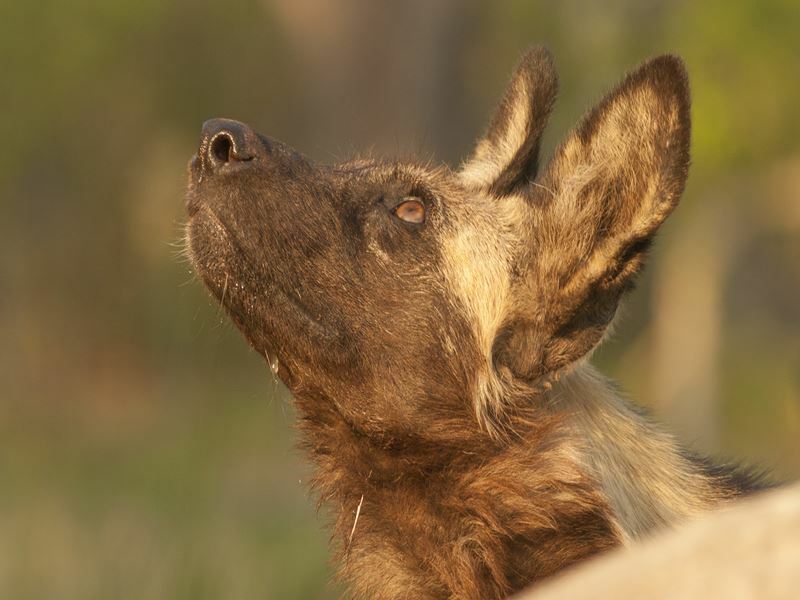 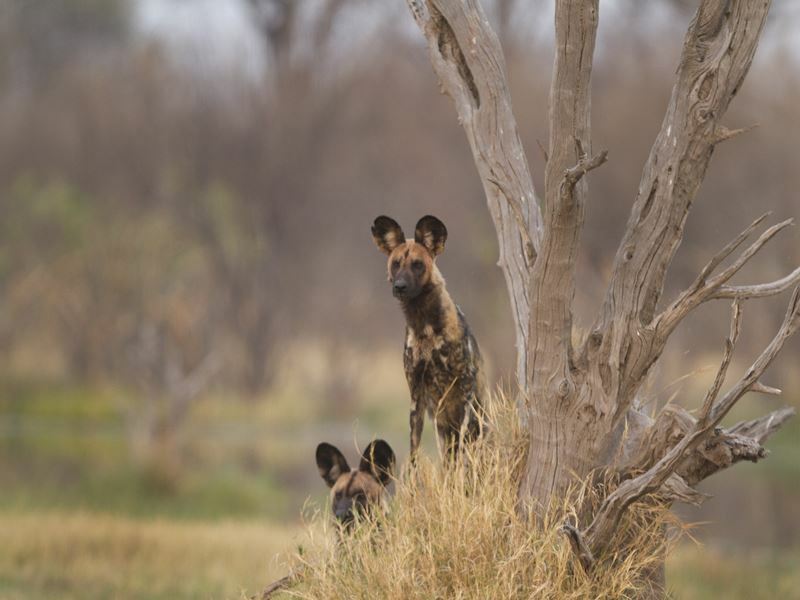 Leopards and wild dogs are something of a speciality at Xakanaxa, and you’ll love the beautiful scenery of forest, wetlands and antelope-covered floodplains. 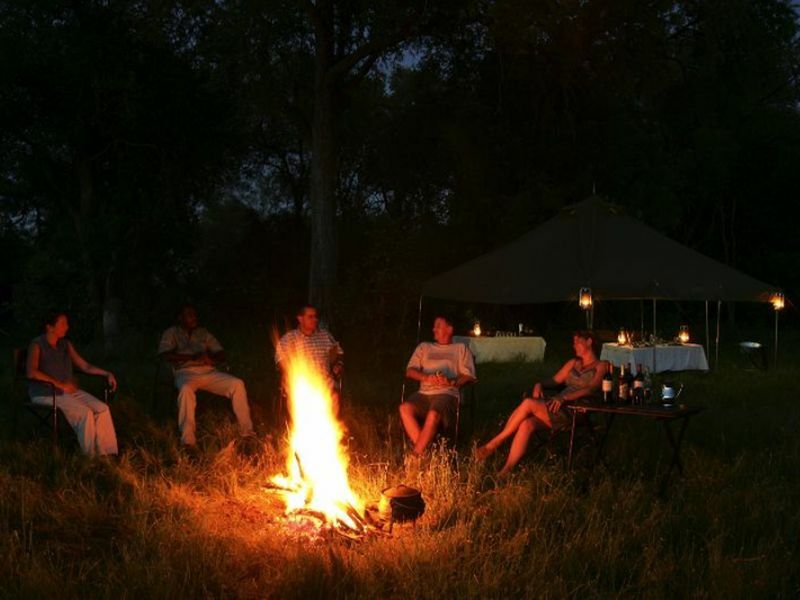 Enjoy three nights of fully serviced camping at a private site, enjoying morning and afternoon game drives. 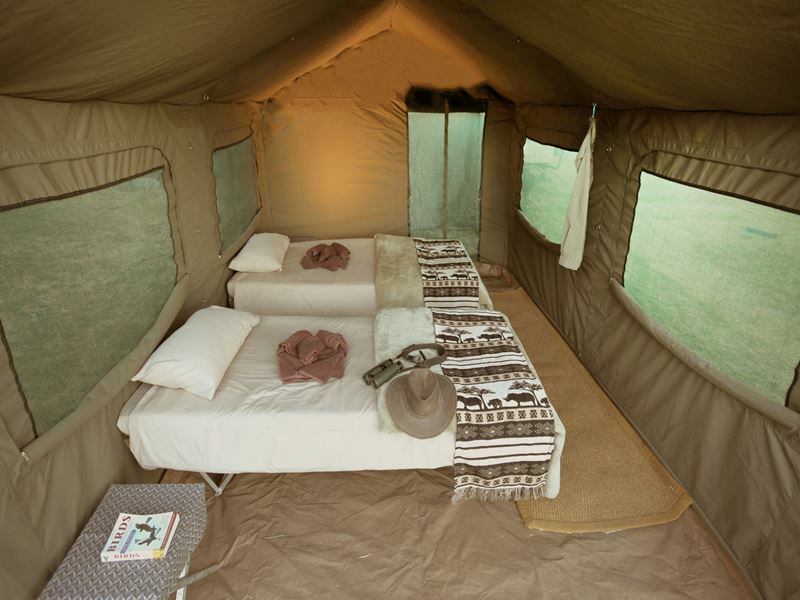 Your tent is large enough to walk in and stand up and comes with a camp bed and en suite bathroom with hot water shower and toilet. 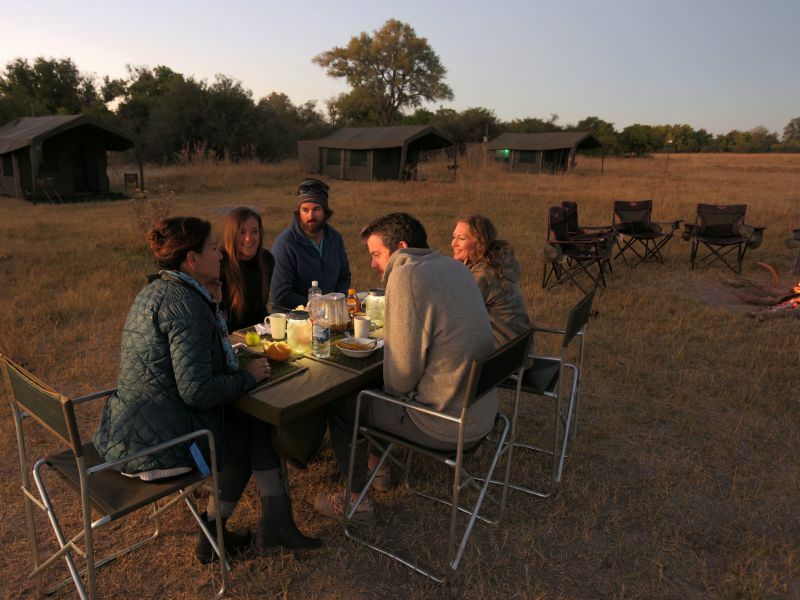 All meals and drinks are provided on the Botswana Tented Safari. Leave Xakanaxa and sit back on a game drive to the Khwai River region of Moremi for 3 nights of fully serviced, semi-luxury camping. 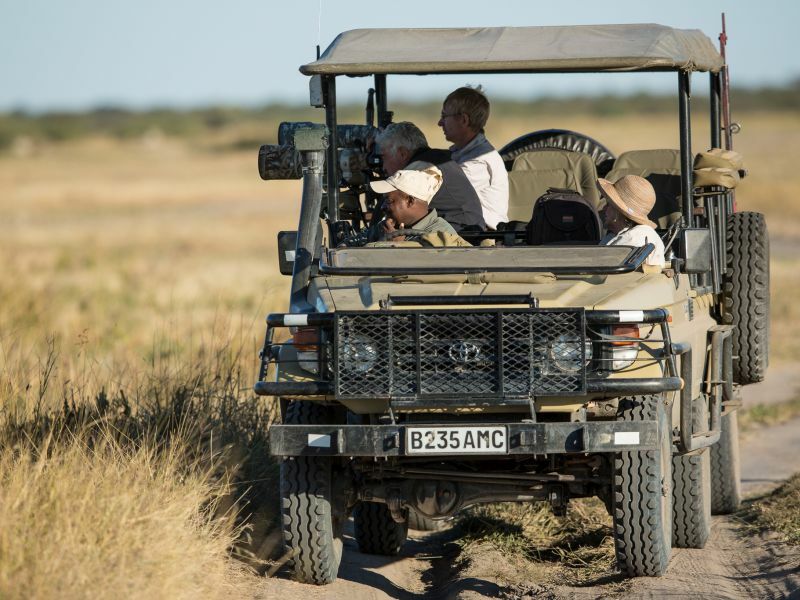 Sit back and enjoy the ride: today you’ll make your way through Moremi to the Khwai River, where the Okavango’s waters finally give way to the Kalahari. Flanked by floodplains and woodland, the river is a lifeline for huge numbers of animals, not least in the dry season. 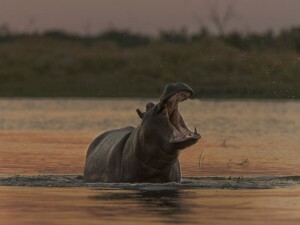 Hippo and crocodile occupy the deeper river; antelope, giraffe and elephants drink from its shallow pools. And with all this game around, Khwai has a reputation for predators; leopard, lion and wild dogs are among the highlights. 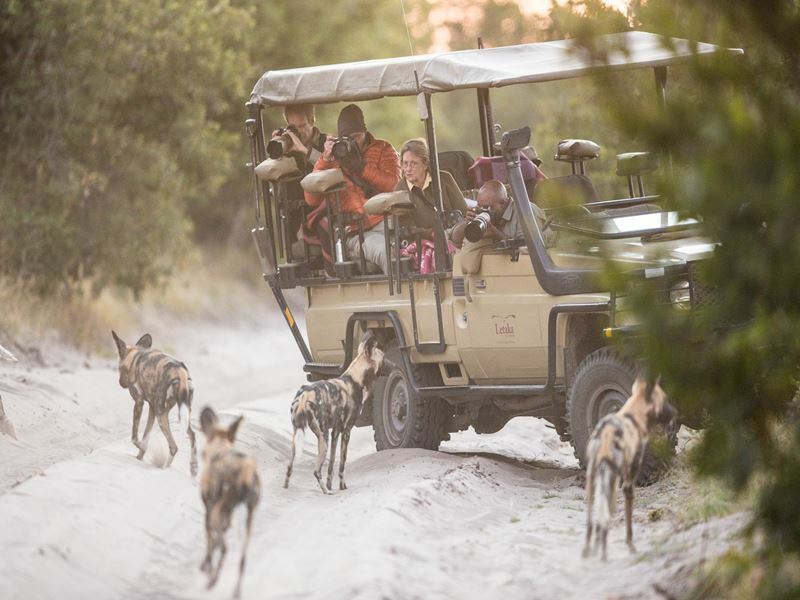 Taking advantage of your camp’s location in a community reserve, your guide balances drives in Moremi with night drives and nature walks in the reserve – a unique opportunity to see another side to this teeming natural environment. 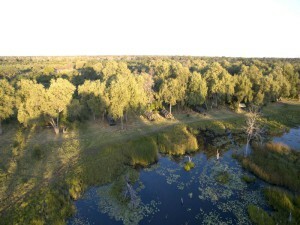 If water levels permit, you may go exploring by canoe. 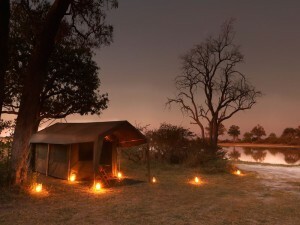 Enjoy three nights of fully serviced camping on the Botswana Mobile Safari. 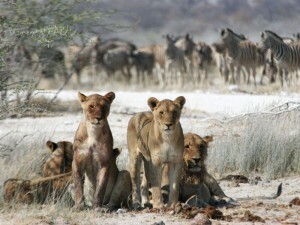 Head for the Savuti region of the Chobe National Park. Spend 3 nights at a fully serviced tented camp. 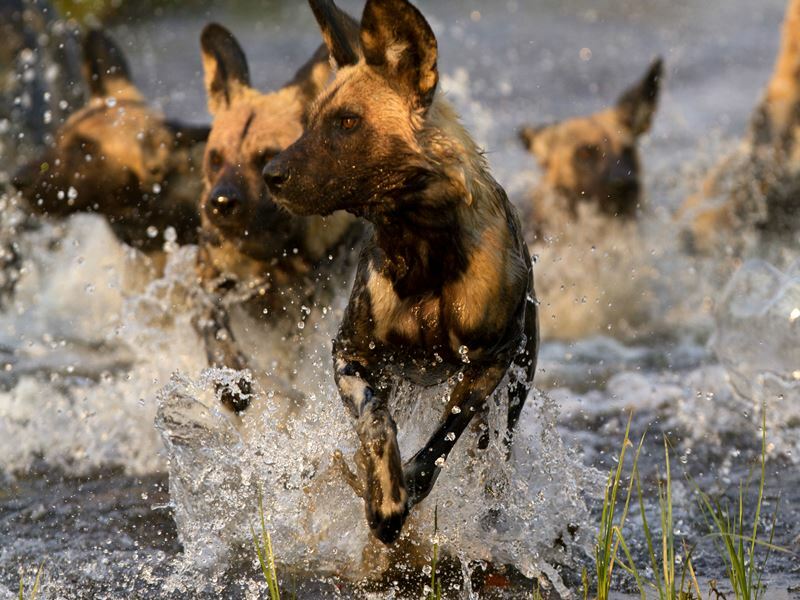 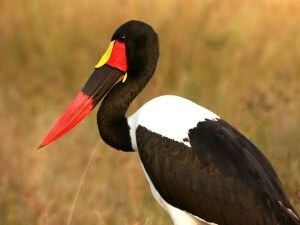 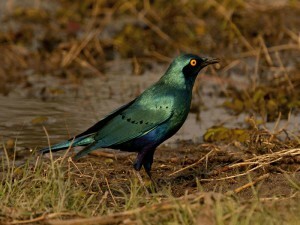 The Khwai River’s reputation for predators is matched by Savuti, the wild heart of the Chobe National Park. 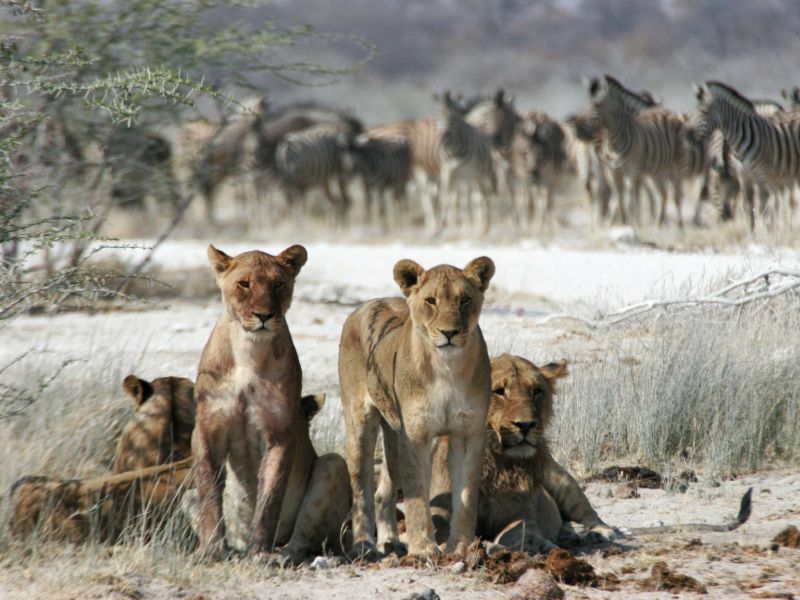 You make your way there via a game drive, arriving in a very different environment to Moremi. Fed by the ephemeral Savuti Channel, Savuti is a great swathe of grassland surrounded by trackless forests and the area is packed with animals. 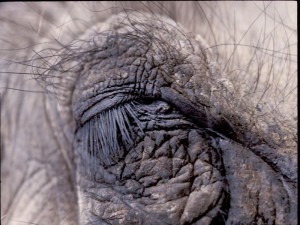 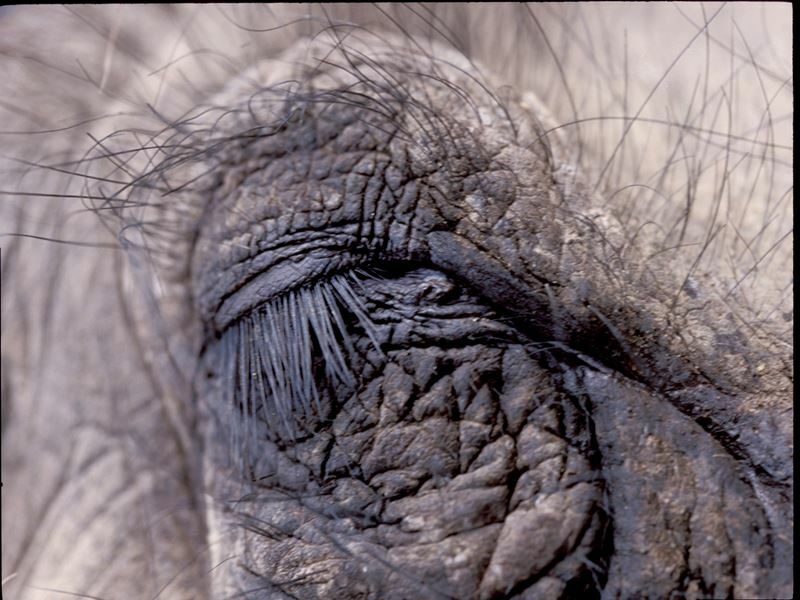 Among Savuti’s most famous characters are its bull elephants whose placid nature makes for epic photography. 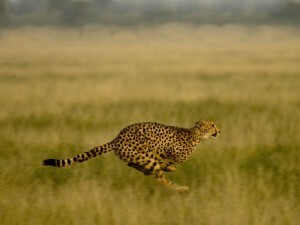 The area’s lions and spotted hyenas are notorious for their constant warring, while leopards, cheetahs and wild dogs can make appearances at any time. Enjoy three nights of fully serviced camping in Botswana, heading out on morning and afternoon game drives to witness all the drama. You’ll drive north to the Chobe River and enjoy an afternoon boat cruise after which the Botswana Tented Safari ends at Chobe Safari Lodge. After an early breakfast you’ll drive north to the Chobe River. Arriving at Chobe Safari Lodge in time for lunch, you’ll end this tour in the best way: a Chobe River cruise. 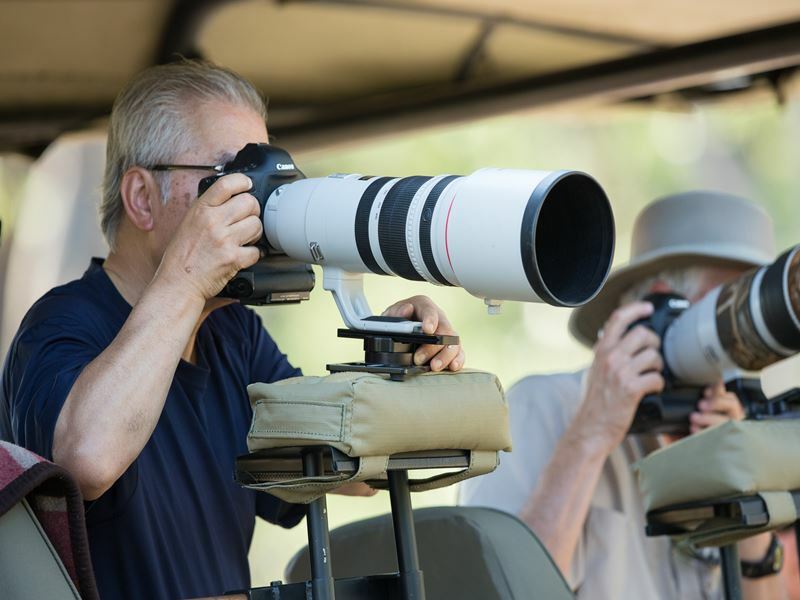 Fascinating at any time of year, the cruise is perhaps at its most dramatic in the late dry season when hundreds of elephants crowd the river banks. Wildlife is abundant all year round though – you’ll see hippos and many different antelope species plus a wealth of birdlife. 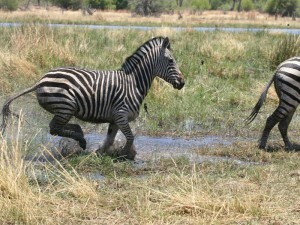 Bushbuck and baboons forage at the water’s edge while giant monitor lizards hunt for crocodile eggs. 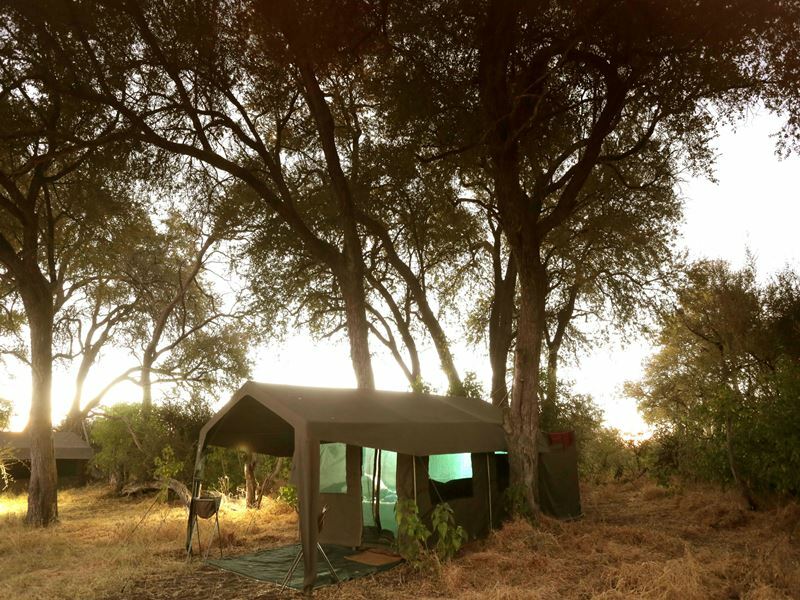 The Botswana Tented Safari ends after the Chobe River cruise; we recommend booking a night at a Chobe Lodge – see our Chobe River Camps and Lodges page. It is also an easy overland transfer from the Chobe River to Victoria Falls; you can choose between the Zimbabwe and the Zambia side and we’ll make all the arrangements. 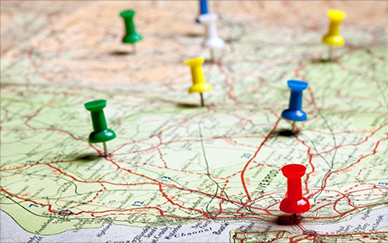 These rates are per person sharing & single supplements may apply. 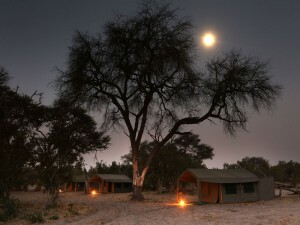 Please treat all pricing as a guide only & the rates are subject to availability & may change slightly without notice. 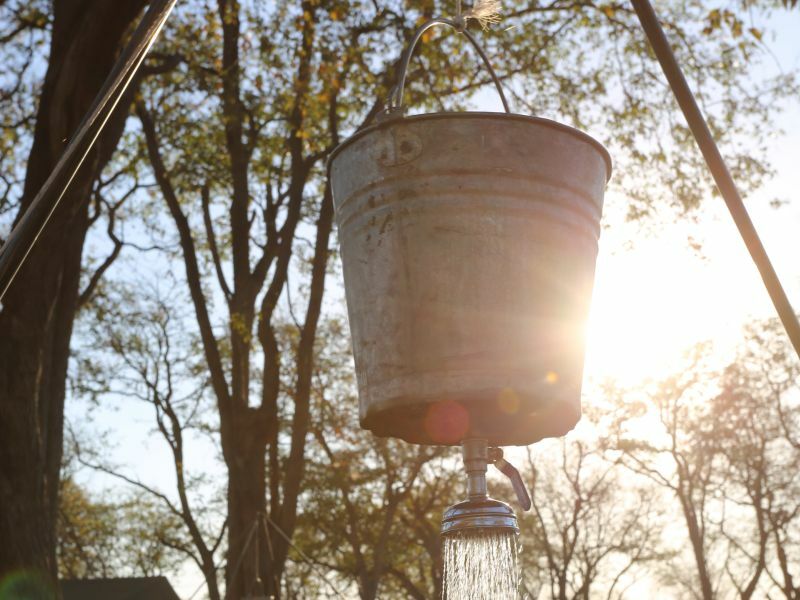 Request a quote from us. 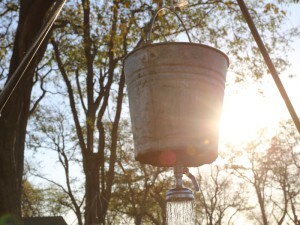 Spacious and comfortable tented accommodation, including beds, bed linen and towels, with a private bathroom en-suite. 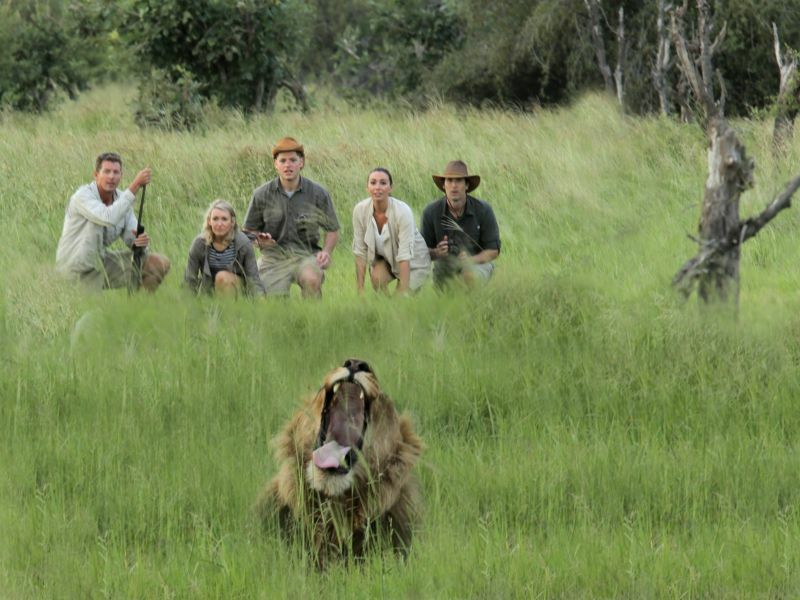 Services of a professional guide, safari chef and camp assistants, complete with a supply vehicle. 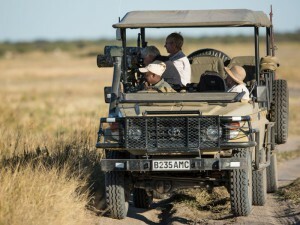 Game drives and local transfers in customised safari vehicles. Exclusive camping in private campsites within the national parks and reserves. 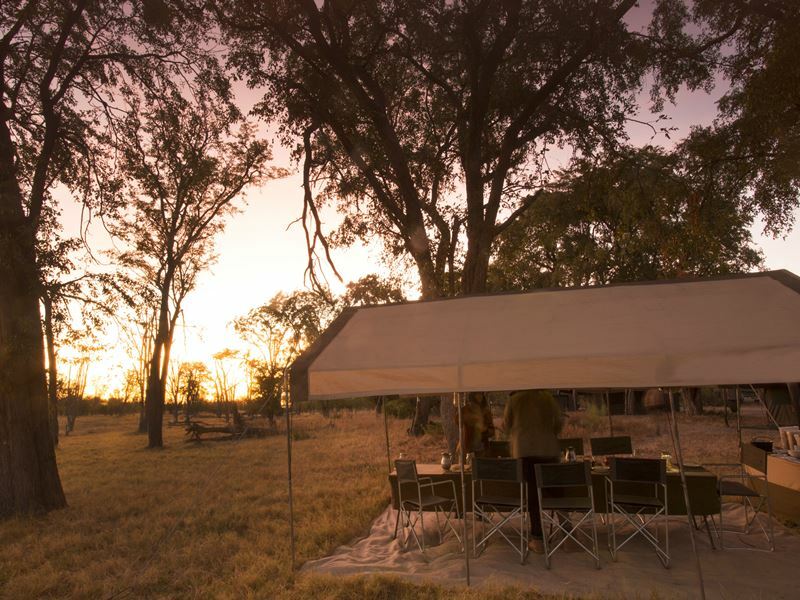 All entrance and camping fees within the national parks and reserves. All meals and drinks (mineral water, soft drinks, beer, wine and G&T) whilst on Botswana Tented Safari. 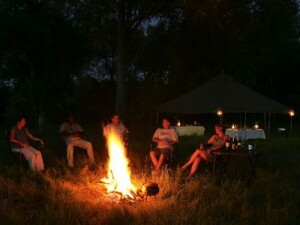 All activities as specified in the itinerary.